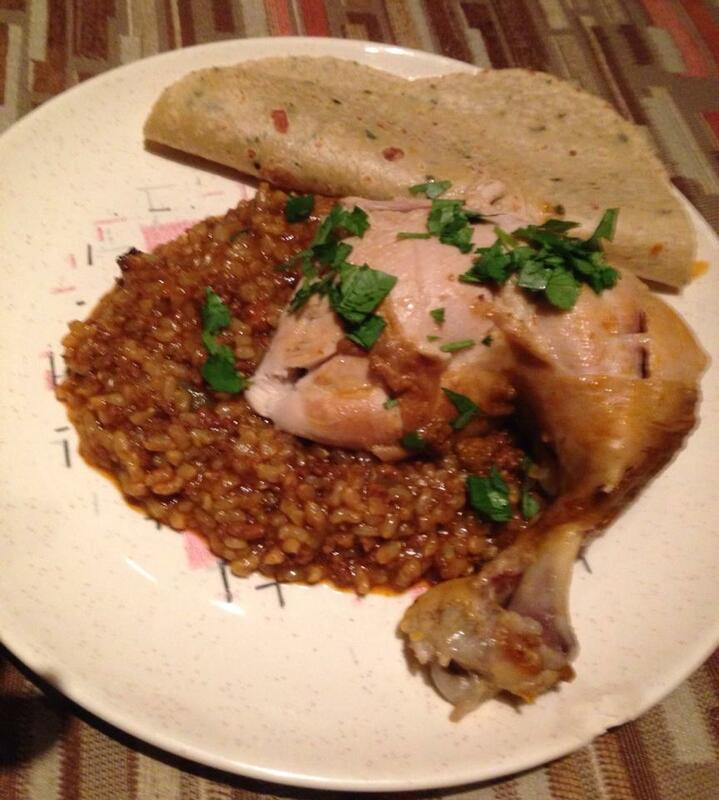 The other day I made Arroz con Pollo in my pressure cooker. I believe this was the result of watching too a sad infomercial on “the best pressure cooker ever”. I figured I’d play and see what happened. I’ve tweaked this recipe slightly for the corrections I want to make. Turn the pressure cooker to saute and brown the chorizo, once its out of it casing. Remove the chorizo and the fat, except for 1T. Saute the onion, garlic and jalapeno till well sweated. Add the chorizo back in. After a moment add in the rice and let it brown a bit. Rub the chicken in side and out with the Habanero Salt and let it luxuriate in the smells of the pressure cooker. Let it rest for a few moments. Add the Chicken Stock, Roasted Tomato Sauce and Demi Glace to the pot. I’m sure you don’t have these things in your kitchen today, but I did and they added to the color and rich flavors. Heat the liquid through, stirring in the cumin and cilantro. Put the chicken in feet first, making sure you haven’t overfilled the cooker. Lid up and set the cooker for 40 minutes on high pressure, letting it depressure naturally. Salt and pepper to taste. And I plan on making arancini with the leftover rice.